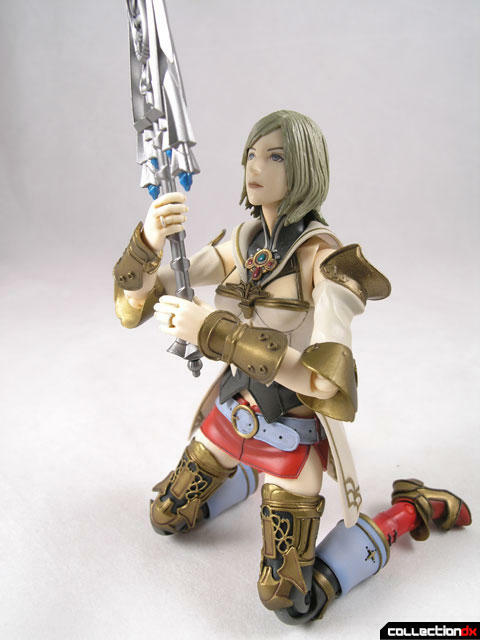 Ashe comes from Sqaure Enix’s Final Fantasy XII (ファイナルファンタジーXII Fainaru Fantajī Tuerubu). In the game, Ashelia or Ashe B'nargin Dalmasca ( アーシェ・バナルガン・ダルマスカ Āshe Banarugan Darumasuka) is a 19-year-old Hume princess fighting to liberate her kingdom, Dalmasca, from the Archadian Empire. She was thought to have committed suicide, but took on the alias, Amalia ( アマリア Amaria), to serve as the leader of the Resistance before joining the group. Though intent on getting revenge on Archadia for the horrors its militant forces had committed on her people, Ashe's own lineage and malice were manipulated by the Occuria. (Wikipedia). If you understand what this means then you are obviously a Final Fantasy fan. If not, well it doesn’t really matter, because Ashe is a cool figure regardless. 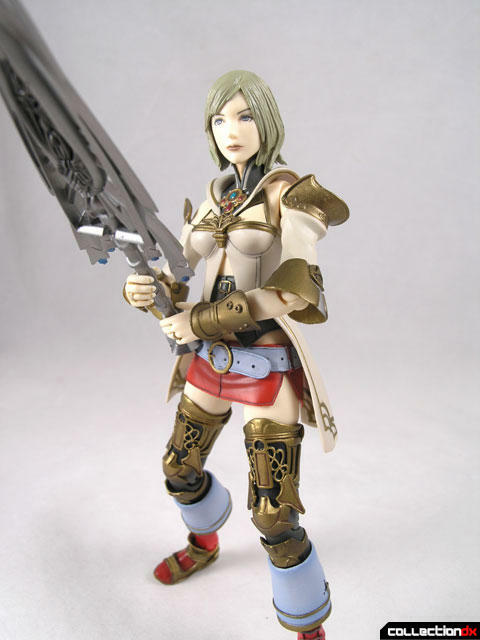 The figure is part of Square-Enix’s Play Arts line of poseable action figures. These figures are about 8 inches tall and loaded with articulation – much more than you would expect by looking at the figure in the package. Ashe’s outfit is a mix of revealing attire and battle armor. 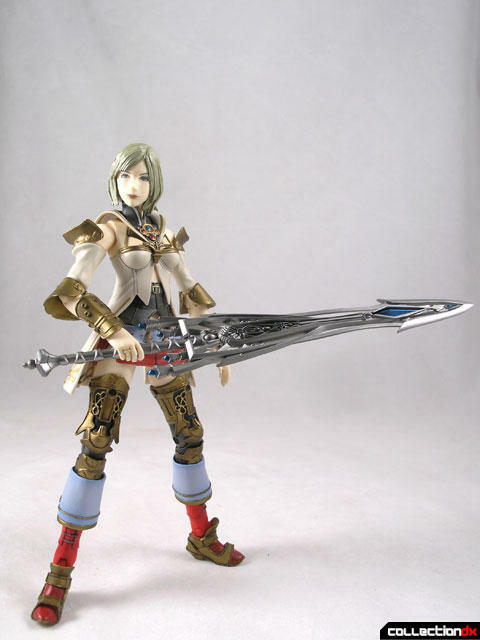 She includes a large ornate sword and a set of variant hands. The sword features exquisite detailing and the handles has a peg on the hilt that secure it to the sword-holding hands. The sword can be held by either one or two hands. 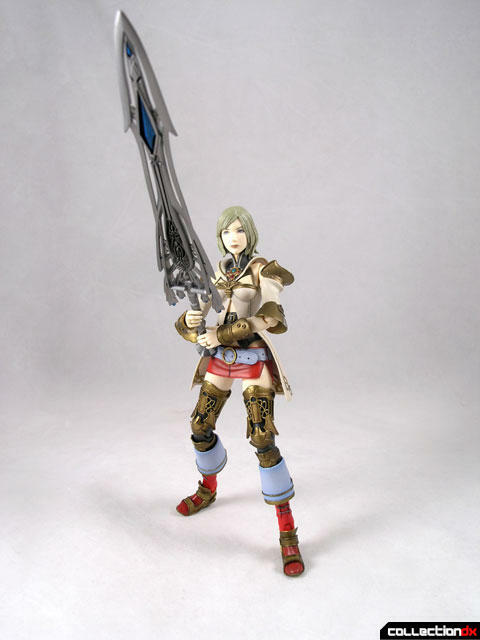 The sword is a bit heavy for the character to hold, so it can be tricky to pose it just right. 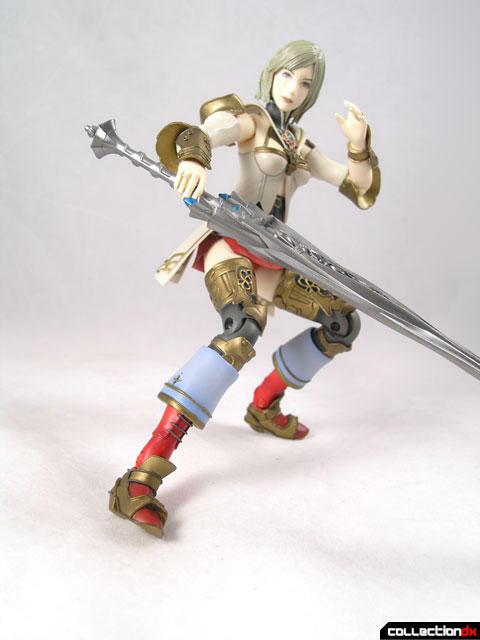 Ashe features 21 points of articulation, and this makes for a spectacular range of motion. The figure is sturdy and can pull off most any pose you can think of. There is a display stand included, but honestly, I don’t think you need it. Ashe has no problems standing up on her own. The armor and outfit are a mix of hard plastic and soft rubber. 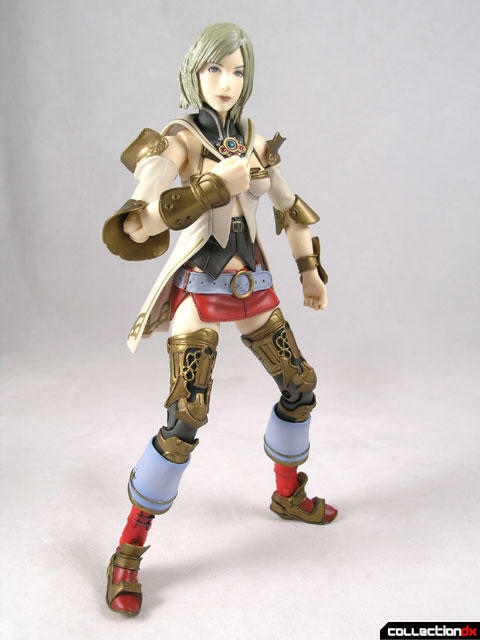 The skirt bends where it is supposed to while the arm and leg armor stay rigid. This is an awesome figure, the only flaw being the not-so-tight grip on the heavy sword. This is minor though, and does not detract from the coolness of the figure. 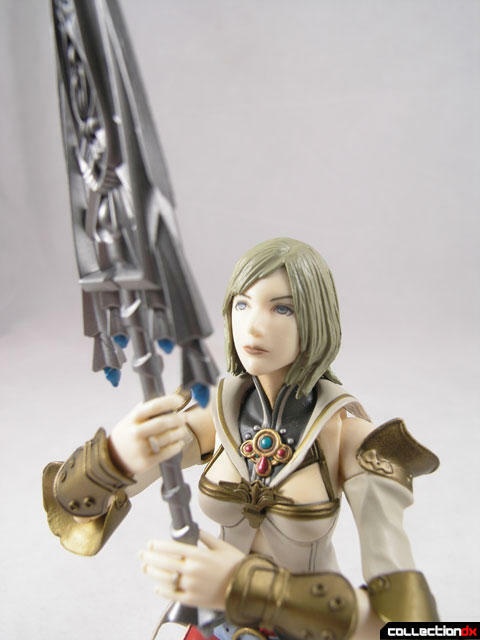 Ashe has a beautiful sculpt and the face looks so lifelike. It really is spectacular, and highly recommended.